API 600 | ANSI B16.34 | EN 12516. Available both in forged or cast steel body. Trim as per API 600. Pressure Class: 150# | 300# | 600# Higher pressure classes are available on demand. Materials are 100% European origin. Full trace ability of all components by strict application of restamping procedure. We can supply these valves with manual handwheels, gear operators or electric, pneumatic or hydraulic actuators. GATE Bolted Bonnet ENDS R.F. - R.T.J. - B.W. NPS 2"-56" 2"-48" 2"-48" 2"-24" 2"-24" 2"-12"
Pressure Seal ENDS R.F. - R.T.J. - B.W. BODY & BONNET Cast carbon steel, low temperature carbon steel, alloy steel, stainless steel, exotic alloys, etc. TRIM Forged or pressed carbon steel, low temperature carbon steel, alloy steel, stainless steel, exotic alloys, etc. 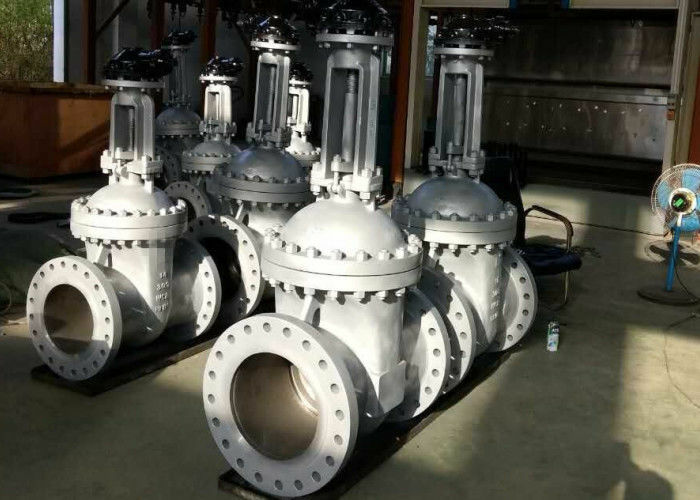 ate, globe and check valves are also suitable for cryogenic services. Specially adapted extended bonnets offer safe and efficient service for the transport and storage of liquefied gases such as oxygen, natural gas, hydrogen or helium, nytrogen down to –196°C.